Once in a while, not often, but now and again, I look at humanity and am struck by the beauty it has created: Mona Lisa. Guernica. Vertigo. Greek poutine. That’s right. Greek poutine. In what might be the monumental achievement of man, Zaina has taken the Canadian dish and married it with the gyro. It’s beautiful. 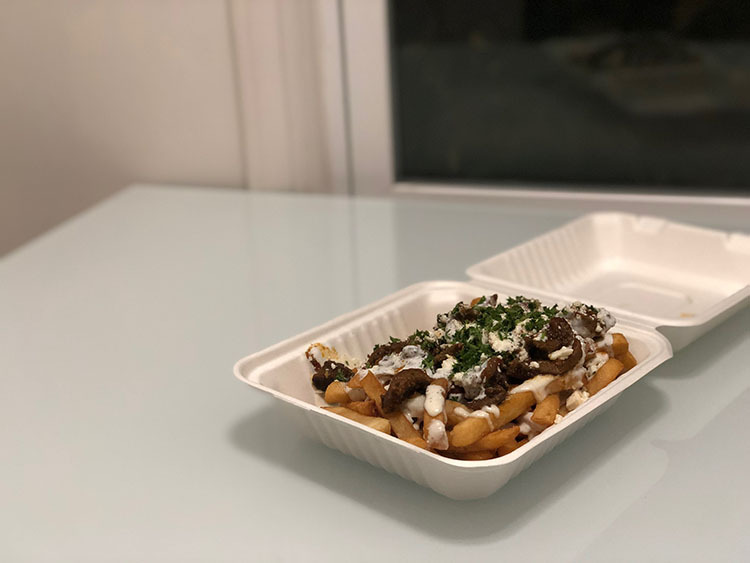 It is everything it should be: Fries are topped with gyro meat, and the curds and gravy have been substituted with feta and tzatziki. I’m sure there are some French-Canadians that are less thrilled about this, but when that garlic hits—and it does—any impending declarations of war will promptly be forgotten. Canada can give itself a pat on the back for introducing the world to poutine. Now the victory lap has started. Job well done, and Zaina’s gyro fries are Greece’s greatest contribution to culture since Acropolis. Do you recommend Zaina and the Greek poutine? Make your voice heard!